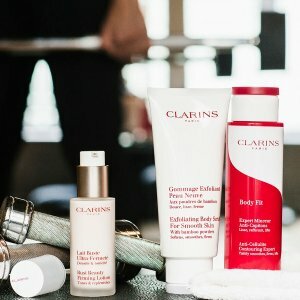 Free tote + samples with $125 purchase. Clarins UV Plus SPF 50, 1.7 oz. Clarins Multi-Active Night Cream for Normal to Combination Skin, 1.6 oz.